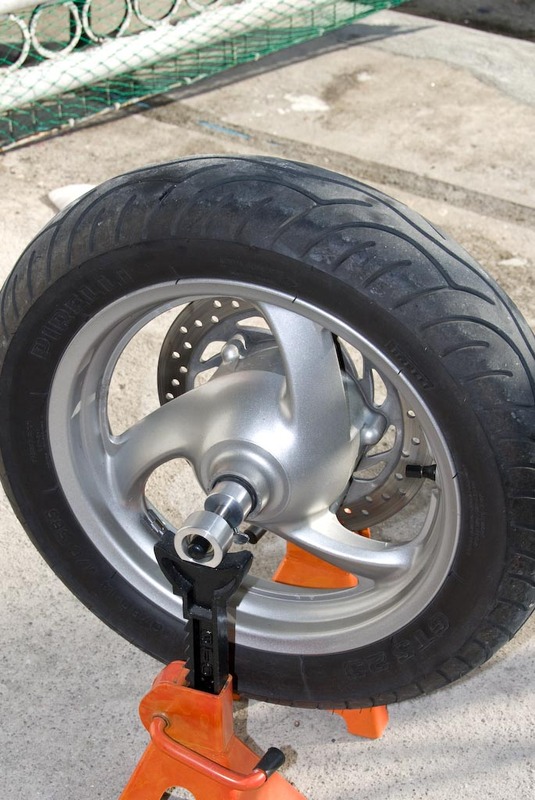 Silver Wing Scooter Wheel Balancer Now In Stock. 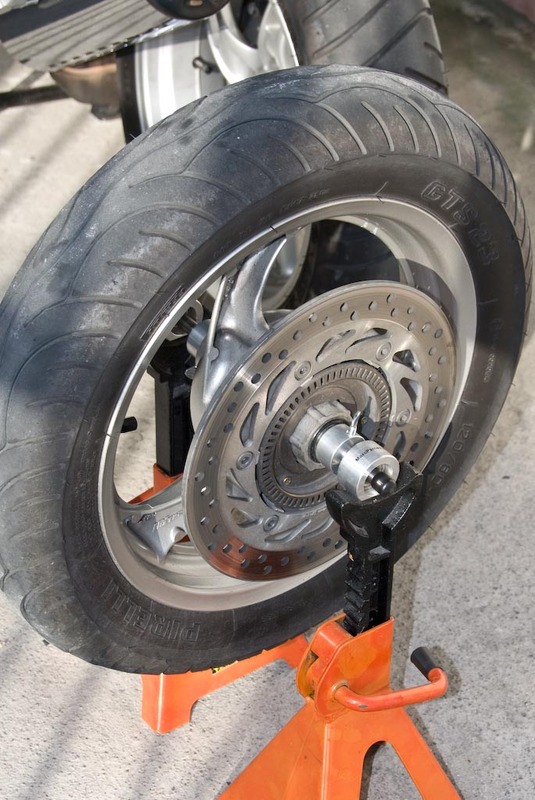 The Honda Portable Motorcycle Wheel Balancer pictured above addresses all of these problems. 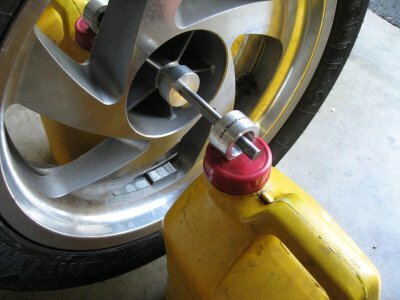 VFR and Goldwing DO NOT require a Dealer supplied rear wheel adaptor. "The Marc Parnes balancer is an absolute joy to use and makes balancing the wheels so much easier. I should have gotten it years ago. It fits both the FJR and Wing wheels and all I need are a couple of big oil jugs to support it on. 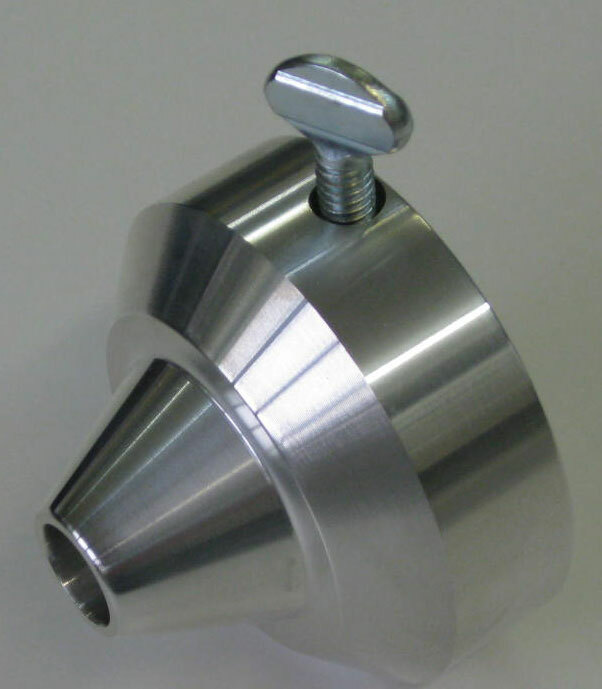 This tool proved to be worth it's weight in gold, as it is small and easy to store, and is easy to use and fits just about any wheel. The GL1800 rear wheel does not have an axle, so it was always a challenge to try to balance it. The design of the cones in the Marc Parnes balancer perfectly centers the rear wheel so you can easily balance it. All you need are a couple supporting jack stands or similar device to set the balancer on. The bearings turn easily and exert very low friction, which allows you to balance the tire to within a few grams. On a scale of one to ten, I would give this tool a solid ten for easy of use and reliability. My only regret is not getting one sooner." Click on the thumbnail for a larger view Prices Include Shipping* Please enter the make, model, year of the bikes to balance in the space provided.